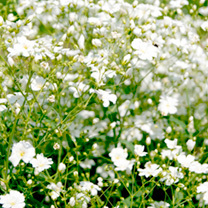 Popular in many a wedding bouquet, everybody has seen the tiny flowered, airy branched gypsophila which acts as the perfect foil for other more showy flowers, well this brand new, unique Gypsophila doesn't need other flowers to help it stand out. Bred right here in the UK for its large, brilliant white flowers with a light pink tinge, it will be a dramatic addition to your spring garden. Bursting into bloom in April, it will continue to flower right through the spring until other flowers are ready to take over. Height 20-30cm (80-12"); spread 30-40cm (12-16"). Supplied in 9cm pots. 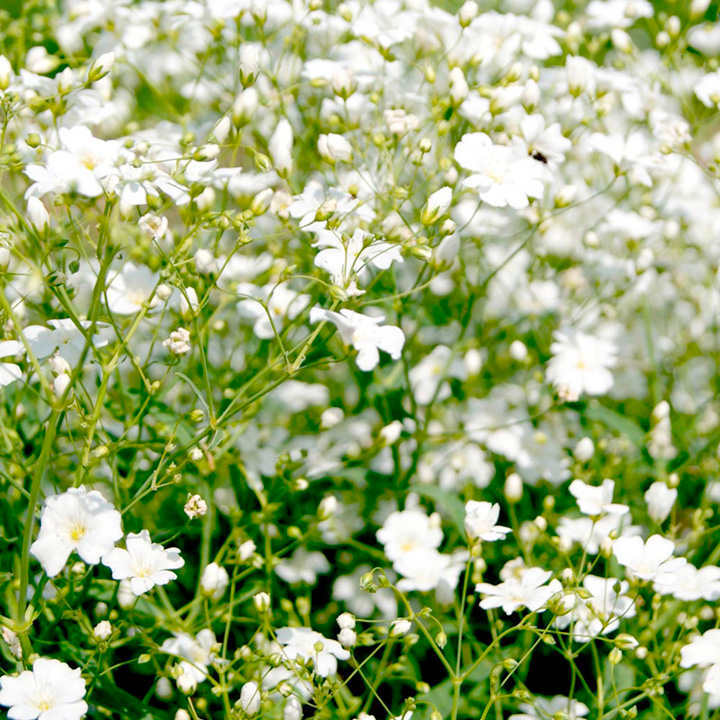 It's Gypsophila ..... but not as you know it! 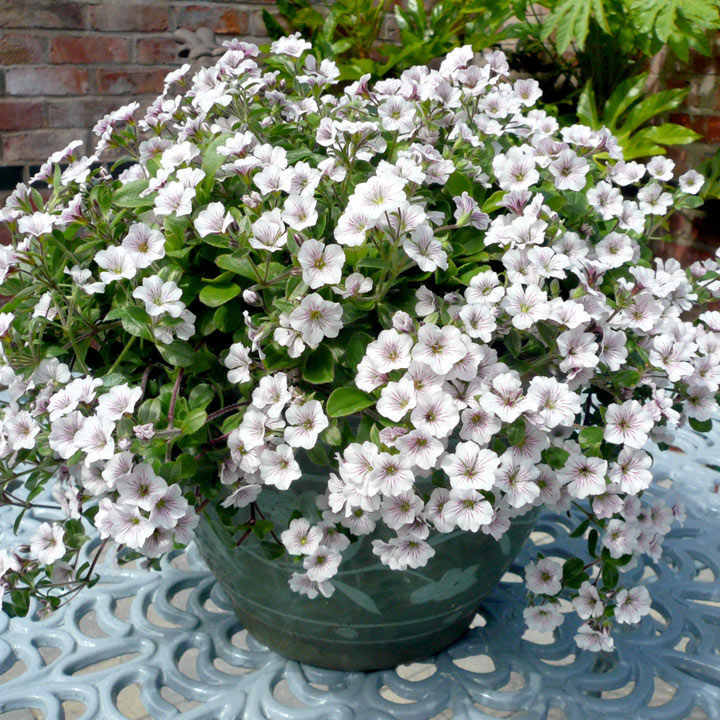 Bred right here in the UK, this extremely hardy, drought tolerant, perennial gypsophila will form a 25-30cm mound in its first year but can also tumble over walls, rather like another herald of spring, the aubretia. In fact, the two would make a wonderfully early, spring display if grown together. Expect it to be loved by pollinators as well as gardeners as it will provide a very welcome early source of nectar and pollen at a time of year when supplies can be sparse for bees and other pollinators that have struggled to survive through the winter. And finally, just in case you didn't already have enough reasons to desire it, this gypsophila is also scented, to tempt you outside and indulge your senses and start you dreaming of the warmer months to come. 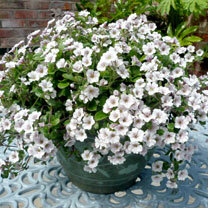 <Ideal for beds and borders, patio pots and containers, hanging baskets, rockeries, raised beds. Attractive to butterflies and bees. Prefers full sun.